Shocking mismanagement at Tshilidzini Hospital has prompted Limpopo Health MEC Dr Phophi Ramathuba to remove the facility's entire management team. The hospital, which is based in Vhembe, serves a large community. Health e-News reports that problems at the hospital include dilapidated buildings, poor service and long queues of people who wait for hours, only to be sent home without receiving help. It is believed that the health institution's troubles are the result of poor management. 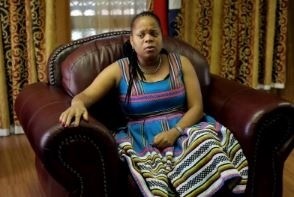 When Ramathuba visited the hospital recently, several patients complained. Some told her that they waited for hours but that no one was willing to assist. Ramathuba said she was worried about the negative reports the hospital had been receiving and that a turnaround strategy was needed to restore public confidence. "As I listened to certain categories of workers I am convinced that the hospital lacks a proper management system. The hospital is in dire need of leadership that will inspire workers to do more for the patients, given limited resources. We need to find ways of including Tshilidzini in our revitalisation programme," said Ramathuba. Though most patients complained about a shortage of nurses and doctors, the MEC said: "There is no shortage of nurses nor doctors here, which surely shows us that the problems lie with the management. So we have taken the decision to remove them and introduce a new management which will be put under administration for a period of 100 days." Samuel Masakona, an elderly patient, said: "The service here is very bad. I have been waiting for over four hours now to open a file. But no one is willing to help me. One can die here while waiting in the queue before a doctor or a nurse sees you." When Tshilidzini was declared a National Health Insurance pilot hospital, it was identified as a facility that needed to be demolished and rebuilt. But nothing has been done. The hospital remains dilapidated and overcrowded and security cameras not functioning. Ramathuba said her department was considering renovating the hospital because the national Department of Health was taking too long to implement the process of rebuilding. "We believe that the incompetence of the management team has failed the surrounding communities," she said. Ramathuba is expected to visit the hospital again this week to implement a new turnaround strategy.